Two events this week in the UK have little in common at first glance, aside from the fact that the Cabells team are attending both of them. 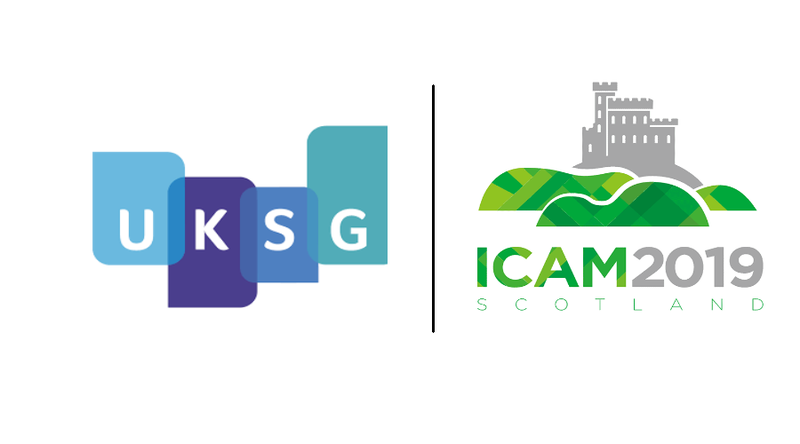 In his latest post, Simon Linacre compares and contrasts #UKSG2019 and #ICAM2019 in order to tease out how such events can remain relevant in today’s changing scholarly environment. The life of an academic, and those who make a living supporting their work, can be a nomadic one at times, thrusting you in and out of both familiar and unfamiliar scenarios at breathless speed. This week, I joined one of my colleagues at Cabells at the UK Serials Group (UKSG) conference in Telford, and while the location lacked a certain glamour, it made up for it in interesting debates and the feeling that at least some progress was being made to improve the lot of librarians and the work they do. 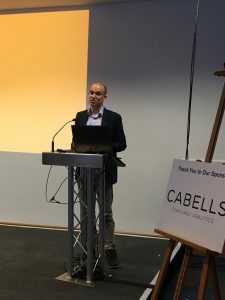 Cabells was very pleased to sponsor the pre-conference seminar, which was organized by the Society of Scholarly Publishers (SSP) with the theme of “’We’re Not Who We Used to Be’: Shifting Relationship Dynamics and Imbalances in an Open Access World”. There were a number of great talks on the development of open access (OA) and what the next steps were likely to be for industry initiatives such as Plan S, as well as more macro happenings such as Brexit. A discussion afterward on how people saw their roles changing in the light of the anticipated OA developments – be you a publisher, librarian, academic or industry professional. Of particular note was reference to the notion of a ‘facilitated collection’ – discussed in Lorcan Dempsey’s recent blog post which relates to how libraries main focus has shifted from acquiring research for their academics to use to facilitating the use and access to a much wider variety of resources, some of which are acquired but some of which is increasingly available through the myriad of open access resources now available. However, the reality of almost limitless resources is that increasingly limited librarian resources struggle to support academics find their way. This scenario is familiar to us at Cabells and is one of the reasons we developed the Journal Blacklist to help both librarians and researchers understand not all open access journals and articles are of good quality, and indeed can contain bad science or lack any form of peer review. Thanks to a shout out from Ebsco’s Sam Brooks in his plenary at UKSG, where he recognized Cabells’ contribution to identifying predatory journals that even the most skilled researchers had trouble doing so. And so, after returning home from Telford we have a quick turnaround before heading North to the beautiful city of Edinburgh and the AACSB’s International Conference and Annual Meeting. Attended by the great and the good of business schools globally, its theme is ‘Challenging Core Foundations’, which similarly addresses the changing landscape of the modern digital age, and what it means for its delegates and institutions. For business schools, these changes mean that they are being pushed to explore new perspectives on how business education could and should develop to meet new demands, and one hopes the ideas exchanged in the old city of Edinburgh next week can match the new thinking put forward by librarians this week. Do we need the Journal Blacklist? FTC’s victory will educate, but will it deter?